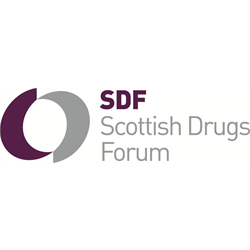 Scottish Drugs Forum (SDF) is a membership-based drugs policy and information organisation and is a national resource of expertise on drugs issues. Applications are invited from Glasgow City and surrounding areas (Greater Glasgow), East Ayrshire, Edinburgh, Lothians, and Fife. Do you have a history of addiction? If you are interested in developing a career working with people who have drug and alcohol problems and you are either 2 years drug free, including substitute prescribing or 2 years free of problematic alcohol use by the end of February 2019, we’d like to hear from you. Scottish Drugs Forum’s award-winning Addiction Worker Training Project (AWTP) is a unique initiative which supports, trains, and prepares individuals with a history of problematic drug and alcohol use to work in Social Care. We offer £8.21 per hour before deductions with a fixed term contract of 30hours per week for 39 weeks. Trainees will undertake placements in social care agencies and will study towards an SVQ 2 in Social Services and Health Care. Full training and support will be provided. This post is responsible for co-ordination of a new employability and training programme in Dumfries and Galloway for people with a history of complex drug and alcohol problems who have previously faced multiple barriers to employment. The work is an extension of an already established project in the East and West of Scotland. In addition to providing support to trainees recruited to the programme, the Co-ordination and Development Officer will work to establish a small network of local stakeholders to support the project - placement providers (drug, alcohol and social care agencies), employability partners, and education providers, to deliver the project outcomes.